Information submitted in a nomination letter to the U.S. National Ski Hall of Fame by Craig Remsburg, the Mining Journal, Marquette, Michigan. Ralph Bietila had a forty-two year career as a ski jumper. His flights from the world’s largest ski trajectories reflect both the courage and sportsmanship of this man. On the weekend of February 23-24, 1974 Ralph G. Bietila of Ishpeming, Michigan donned a pair of skis and proceeded to compete in a pair of ski jumping tournaments on his hometown’s Suicide Hill at the tender age of 49. Although he failed to win any major awards in the veterans’ class races, Bietila set a record of sorts by taking part in both national and international ski competition in his 40th year. It is a year marked by two ski jumping titles, a pair of national distance records and Bietila’s twice being named to the United States Olympic Ski Jumping Team. Born on July 8, 1924 in Ishpeming, Michigan, Bietila was quickly introduced to winter sport by members of his family which came to be known as the “Flying Bietilas” among ski jumping fans. The youngest child of the famous ski family, Ralph either learned to ski at an early age or he was left out of the fun his brothers, Anselm, Walter, Leonard, Roy and Paul looked forward to every winter. Using hand-me-down skis, Ralph started skiing at the age of six and competed in his first ski tournament when he was nine years old. The competition was held in Chicago and although he came home without any ribbons or trophies, the seed for what was to become a successful ski jumping career had been planted in Ralph. He gained his first major skiing award in 1940, placing third in Class “C” competition in Berlin, New Hampshire. A year later, the then 16-year-old Bietila won his first tournament title by capturing the Junior Class National Championship crown in an Iron Mountain, Michigan tournament. His jump of 262 feet there set a hill mark and national distance record that withstood all challenges for a number of years. He finished 1941 with a title at a national tournament at Hyak, Washington and continued his winning spree with three championships in Oconomowoc, Wisconsin; Iron Mountain, Michigan and Beloit, Wisconsin. Four years later, Ralph took a Class “B” title in Iron Mountain. Ralph and his famous brothers continued to dominate the sport of ski jumping, evidenced by the Bietilas being honored in 1946 with the Bass Award for Outstanding contributions to the sport of skiing in the U.S. that year. Ralph placed first in Class “A” competition held by the Rocky Mountain Ski Association in 1947; and in 1948, at the age of 23, he gained a spot on the U.S. Olympic Team which traveled to Davos, Switzerland. Fate was to decree a broken arm however, keeping Ralph from competing in the international ski jumping games. In 1950 Bietila was named to the U.S. Ski Jumping Squad which competed in the F.I.S. World Championships at Lake Placid, New York. Just two years later, he was asked once again to be member of the U.S. Olympic contingent to the Winter Games in Oslo, Norway. Before he could show the world’s best ski jumpers what he could do however, a foot injury kept him out of the competition. He continued to ski though and took top honors in Class “A” in the 1953 Paul Bietila Memorial Tournament held in Ishpeming, Michigan and finished third in a tournament at Steamboat Springs, Colorado. A year later, Ralph took second in Westby, Wisconsin and a third and a second in 1955 in Steamboat Springs and Westby, respectively. After representing the U.S. in international competition in Sweden and Finland, Bietila won the National Veterans’ Class Championship in 1963 at the age of 39. His jump of 261 feet from the Steamboat Springs, Colorado, set a distance record for veterans’ class jumpers. A member of the board of directors of the Ishpeming Ski Club for many years and former vice-president of the club, Bietila spent several skiing seasons coaching young hopefuls in the finer points of the sport. He helped design and create a jumping complex in Ishpeming that to this day continues to train young skiers for competition and the country’s top jumpers are often observed seeking his advice. 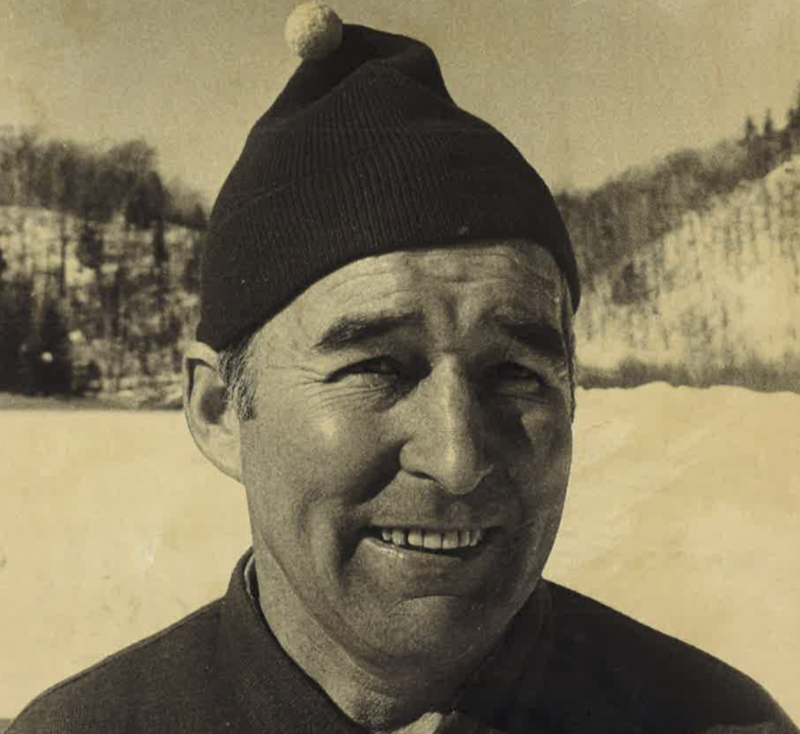 Ralph Bietila was elected to the U.S. National Ski Hall of Fame in 1975. If you notice any errors or inconsistencies in Ralph Bietila's bio, click here to let us know.